Social Partner Group dance classes are a fun way for adults to learn how to dance in a friendly social setting. Our dance classes are ideal for learning basic techniques and getting comfortable with the fundamentals of specific dance styles, from Salsa to Country, and everything in between. We offer a variety of adult dance classes, such as drop-in or progressive in a developmental series. They are a great compliment to private lessons. Grab some friends and tell us what you want to learn and we’ll make it happen. Just tell us you want your own custom group class! For the current group classes see the calendar. Investing in Private Lessons is the fastest, most effective way to becoming a proficient, confident dancer, and is the best way of improving your current level of dance skill- all at your own pace and get one on your own personal training. Private Lessons consist of focused, one-on-one training with a professional instructor in a private setting that will target your learning needs. 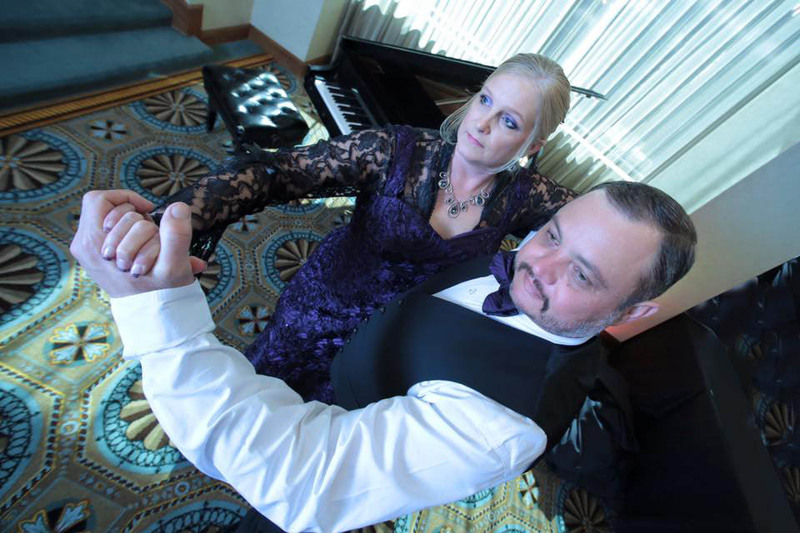 Private lessons are also ideal for learning choreography for your special Wedding dance, Quinceañera, or special event, and can be offered in a variety of ballroom and Latin dances. You can also book a group private lesson and share the lesson with your friends or loved one. Getting started is easy! Simply contact us by phone at 432-349-1472, send us an email at ltd@lovetodancestudio.com or you can approach us before or after class to set up a time and date that is most convenient for you. Learn the ancient art of cabaret (glitzy) belly dance instruction by instructor Marlene Delachica-Hiebert. Students will learn movements, such as, hip circles, figure eights, hip isolations, steps, turns, shimmies and more. No experience required and students may start at anytime. For more details call, Marlene Delachica-Hiebert at 512-657-3241. ► Wear comfortable cool and easy to move in attire. $15 a class (for EACH class) on a drop in basis. 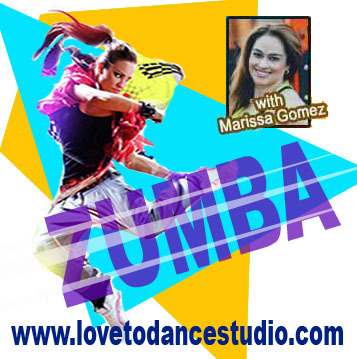 ► Mondays & Tuesdays: 6-7 pm; and Saturdays: 10 a.m. to 11 a.m.
Zumba Party with high spirited Marissa Gomez. She is ready to party - party lights and all. She is guaranteed to give you a great work out. $5 per class. No contract to sign. Come join us and Party!